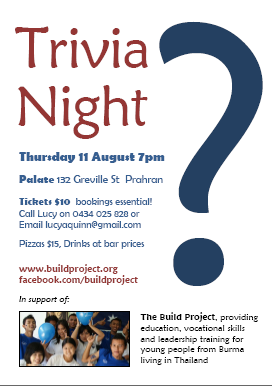 Get a team together, join in the fun and support The Build Project at the same time! Drinks at bar prices, Pizzas $15. Prizes to be won, good times to be had! Arrive any time from 6pm for a drink.